Featuring a combination of compact dimensions, high output, hot restrike lamp and DMX control in one product. It has also made them the new benchmark followspot for large theatres, TV studios, fashion shows, concerts and touring. 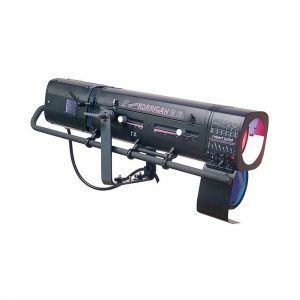 It can be used in front-of-house, truss and backlight positions.